Link multiple fans together in different configurations. 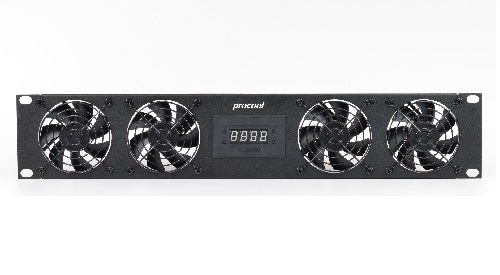 Link fans to temperature controlled models so all fans are controlled by temp. Link standard fans together so all share a power source. Link cabinet fans and rack mount fans together. 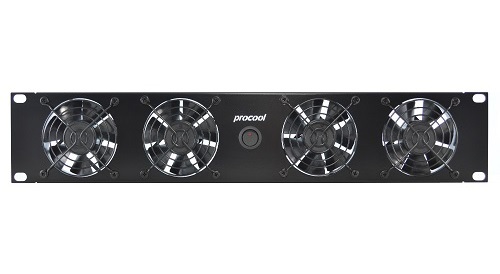 Virtually all Procool fans can be linked together. To connect a standard rack mount fan to the temp controller an adaptor cable is needed. See the Accessories section for other adaptors and cables needed for customizing your system. Or call our friendly customer service to help configure your system and get the connecting cable for free! When combining fans note the Amp draw of each fan added to the system. Add all of the amp ratings together. The total should not exceed the amp rating of the power supply being used. Most systems run on a 1 or 2 amp power supply others up to 6 amp is required. 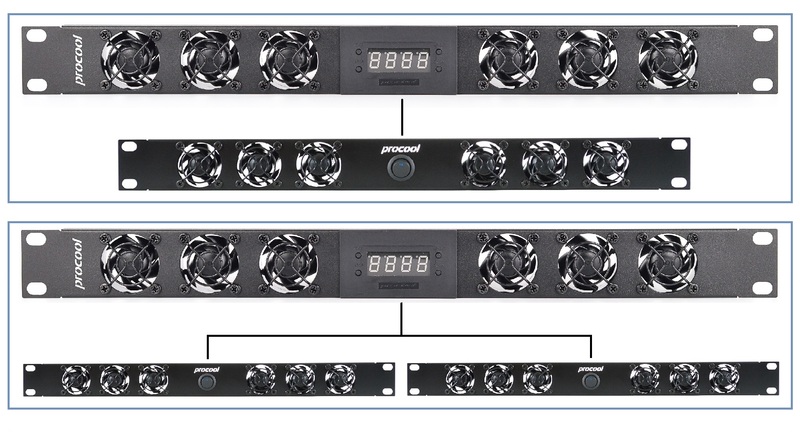 Multi fan systems are more effective for cooling larger cabinets and racks as well as any rack that has a heat problem. Our expert customer service can configure the best system for your cabinet or rack. 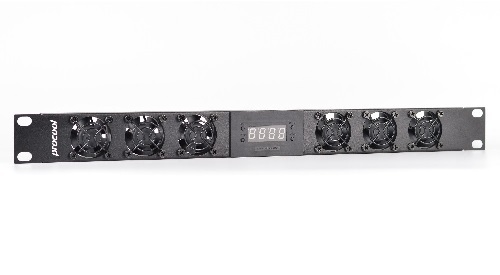 2U Rack mount Variable speed, Silent, Temperature controlled cooling system. Popular for Server and IT cooling needs. Add a slave unit that is controlled by this one!